The big change to be aware of is planning travel with the removal of Dalaran’s portals to capital cities. Even with the travel difficulties, this is still the best chance this coming expansion for you to finish this achievement. Once everyone leaves Dalaran for Stormwind and Orgimmar, good luck trying to finish Turkey Lurkey. 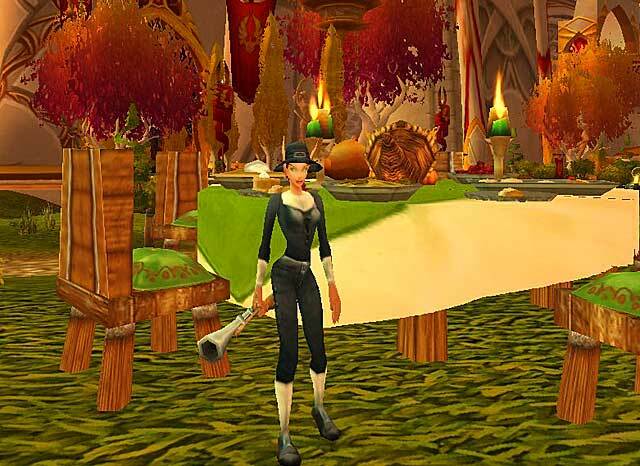 If you are starting out a new race/class combo character don’t miss the opportunity to do some easy cooking leveling. Using the recipes from the event you can easily level cooking from 1-350. This entry was posted in The Achievement Hunter and tagged Achievement Pts, Cataclysm, World Event, World of Warcraft, WoW by Loren Ipsum. Bookmark the permalink.